It doesn’t get any better than being in the heart of Las Vegas. Cool off in the 110-foot heated rooftop pool. Treat yourself to a massage or hydrating facial. This won’t be like any workout you’ve had before. Take in all the attractions on the strip, it's just 1.6 miles away. Go for a swim in the 110-foot rooftop pool or rent a private cabana. You're only seconds away from a delicious tropical cocktail. Enjoy a relaxing massage, nail treatment or facial at the full-service spa. You can't leave Vegas without seeing the Bellagio Fountains. They are just 1.7 miles walk away. Experience the best views of Las Vegas on the High Roller, only 1.2 miles away. Visit Planet Hollywood, just 2 miles from the resort. You're just across the street from all of the entertainment at the Wynn Las Vegas. A soak in the jetted tub is just what you need to unwind from your day. Trump International Hotel Las Vegas is a non-gaming luxury resort located in the heart of Las Vegas near the area’s best attractions. The resort’s concierge is available 24/7 and will be happy to assist you with everything from dinner reservations to show tickets. First stop: the seventh-floor deck, where you’ll find the one-hundred and ten-foot heated rooftop pool. The poolside bar & cafe goes above and beyond your average pool bar. It offers a full menu so you can hang out all day if you want to. If you really want to get fancy, rent a private air-conditioned cabana, it has a TV and wet bar. Trump International Hotel Las Vegas is home to an award-winning fitness center and a full-service spa. Being on vacation is no excuse to skip your daily workout. After getting your cardio on, enjoy a relaxing massage, nail treatment or facial – you deserve it. Hungry? Check out the on-site Signature American Restaurant, DJT. Condos at Trump International Hotel Las Vegas are much more than your average vacation residence. They feature floor-to-ceiling windows with gorgeous views. 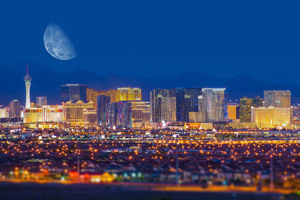 Deluxe condos provide views of the Strip while Superior condos provide views of the city. One-bedroom condos sleep four and offer full kitchens. In-suite Keurig coffee makers (in all condos) allow you to enjoy coffee, tea or hot chocolate one cup at a time. Declare it top-your-own pizza night and crown the pizza artist who chose the most unusual toppings the winner. First prize: being put in charge of the remote. Flatscreen TVs have more than eighty channels, a DVR so you can record favorite shows to enjoy later and pay movies! When the little ones have drifted off to dreamland – thanks to the pillow top beds with premium bedding – relax in the jetted tub. Wine optional but highly recommended. Plus, the resort offers daily housekeeping, so you’re off the hook. Looking for a bit more space? Upgrade to a Premium one-bedroom condo. If you really want to get fancy, spring for a penthouse. One- to three-bedroom penthouses sleep two to six guests, are located on the top floors of the resort and feature all of the amenities of the condos with a lot more space. In addition, they include his & hers walk-in closets. But wait, there’s more! Trump International Hotel Las Vegas is a pet-friendly resort! Trump International Hotel Las Vegas is just across the street from the Fashion Show Mall. Department stores include Dillard’s, Saks Fifth Avenue and Neiman Marcus. Treat yourself to a new handbag from Kate Spade or Coach. Need new shades? No problem! There are four Sunglass Hut locations to choose from. The kids will love the Disney Store. Stop by Zee.Dog to pick up a surprise for your four-legged family member. If you need a caffeine fix, you have two options: The Coffee Bean & Tea Leaf and Starbucks. Hungry? Try The Habit Burger Grill, Maggiano’s Little Italy or Benihana. If you’re in the mood for even more shopping, the resort offers a free shuttle to The Forum Shops at Caesars Palace. The world-famous Las Vegas Strip is just a short drive from the resort. The free Bellagio Fountain show is a can’t miss Las Vegas experience. It features exciting music, more than one thousand fountains and a truly unique show every time. This property will place a preauthorization on credit cards in advance. To obtain additional information, please contact the office using the information on the reservation confirmation received after booking.